Girona: The presidents of the Spanish league and two of the largest Catalan-based clubs, FC Barcelona and Girona FC, have sought permission from Spain’s football body (RFEF) to play a La Liga game in the United States, a decision that is likely to provoke protest from fans and players alike. La Liga president Javier Tebas and the heads of Barcelona and Girona, Josep Maria Bartomeu and Delfi Geli, thus took another step towards pitting the sides together in a league match held at the Hard Rock Stadium in Miami, Florida, in what would be an unprecedented move in Spanish football aimed at boosting the league’s popularity in the lucrative US market. 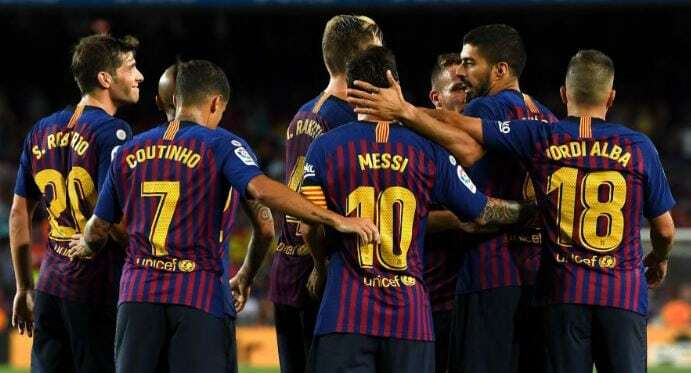 A statement from La Liga said mechanisms had been agreed to compensate season ticket holders for the defending champion Barça and its neighbors Girona; the plan was reportedly given the green light from fans associations at both clubs,” reports Efe news.